Fourteen-year-old Pierre has toughened up during his two summers as a voyageur. But is he ready for the challenges of a northwoods winter? 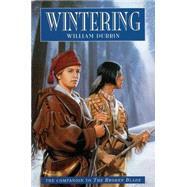 Award-winning author William Durbin tells the story of Pierre, as he makes friends with an Ojibwe boy and faces the physical and the emotional challenges of subzero temperatures and close quarters.